• a wash basket or pile of clothes. 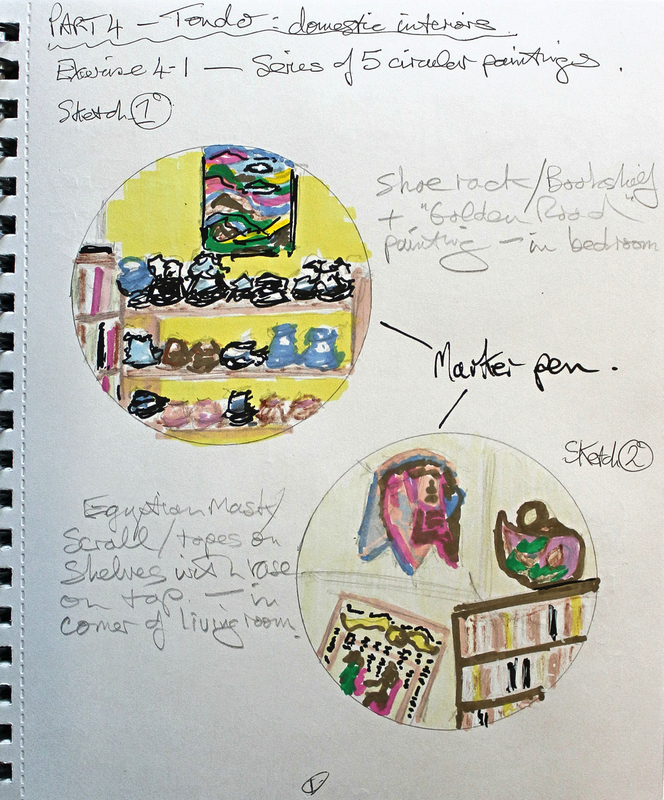 Now take photographs of your paintings and leave them to dry for Exercise 4.4. 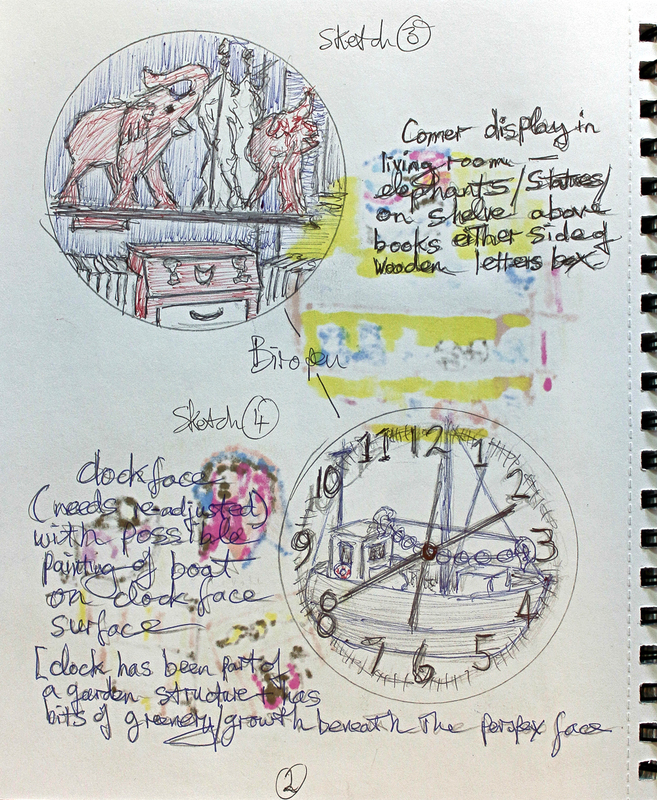 For this exercise I made a series of sketches using a viewfinder placed over photographs of places within the house. On a 23cm diameter paper plate I laid down a black gesso ground, and once dry, I painted this scene from a corner of our bedroom at home. 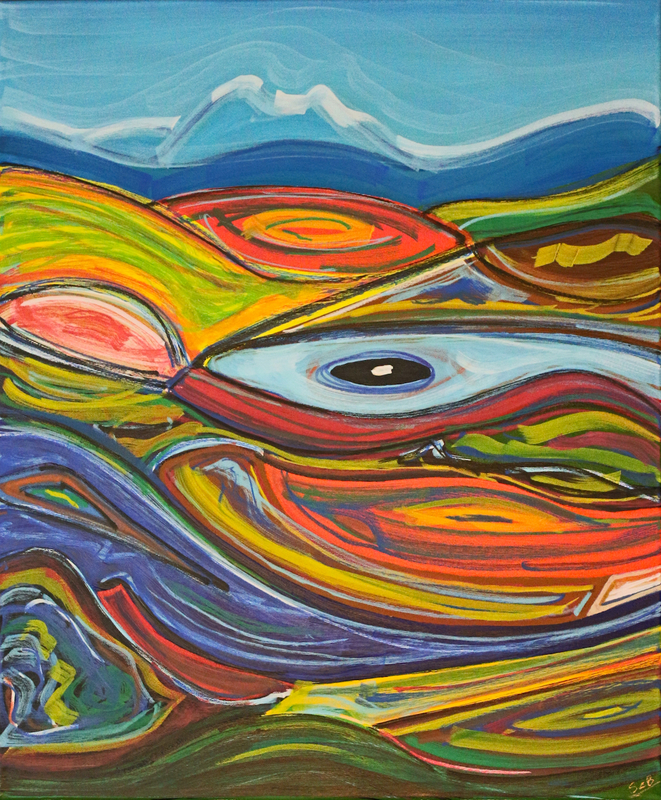 The painting on the wall is one I made for an earlier course and is an abstract rendition of the ‘Golden Road’ on the east coast of the Isle of Harris. 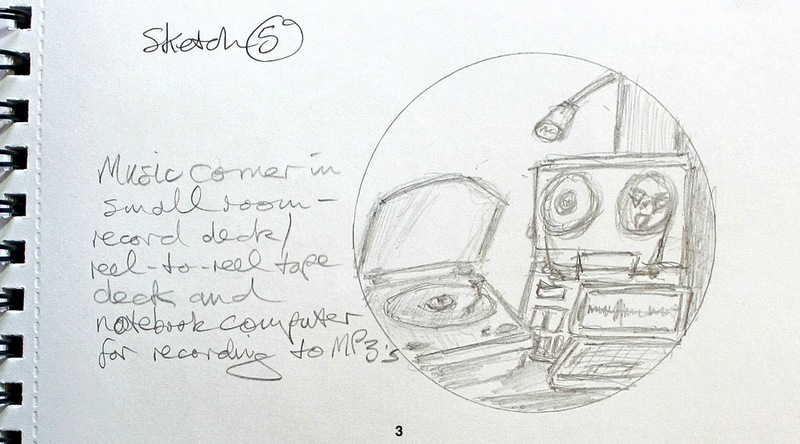 The scribing around the paper plate provides a pleasing framing device, drawing the viewer in. 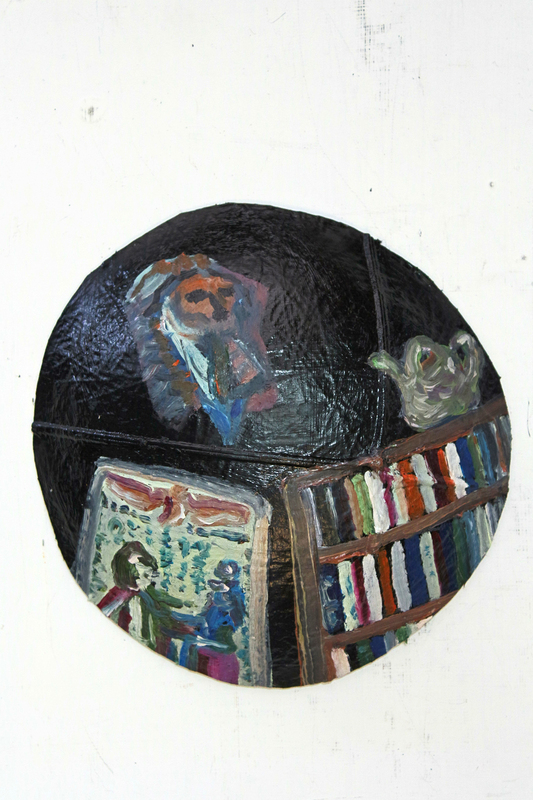 On a 16cm diameter piece of cut-off old football our dog used to play with I laid down a black gesso ground, and once dry, painted this scene from a corner of our living room. The cut-off piece of football was turned inside out to show the internal seams. I wanted to have a go at trying to create an image akin to what might be seen in a Claude Glass looking backwards at a scene as if in a convex mirror. 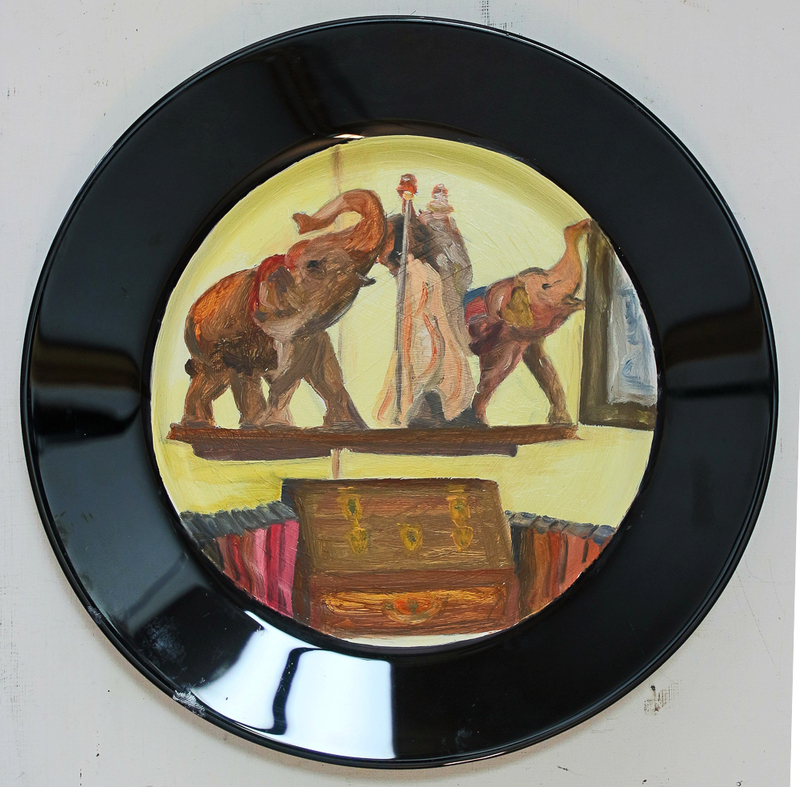 I painted this scene directly onto a 27cm diameter black ceramic dinner plate. 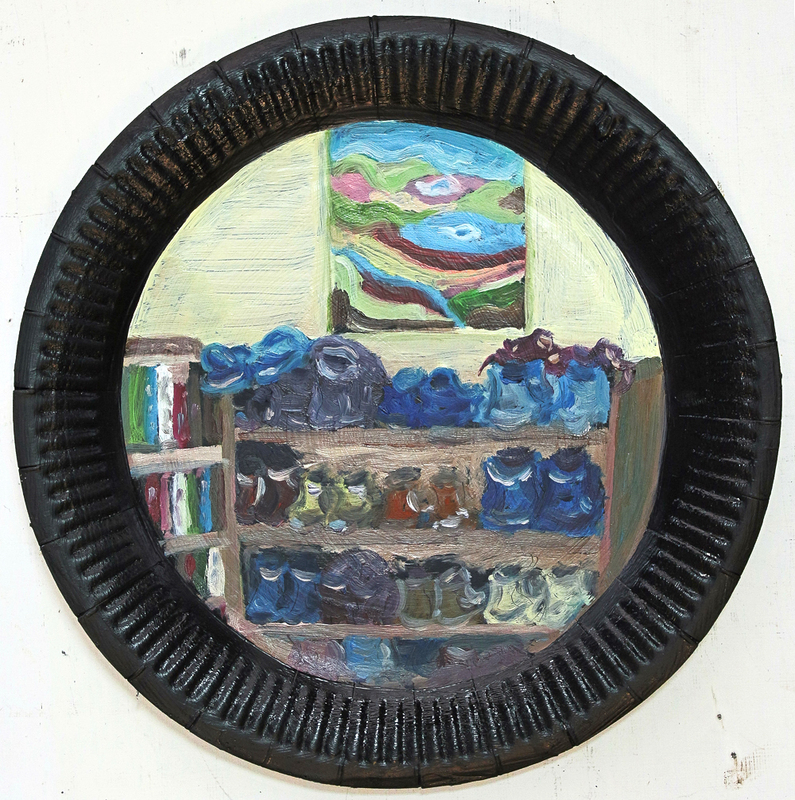 The shiny black of the plate surrounds and frames the image well I think, drawing the viewer into the scene – into the depth of the plate. 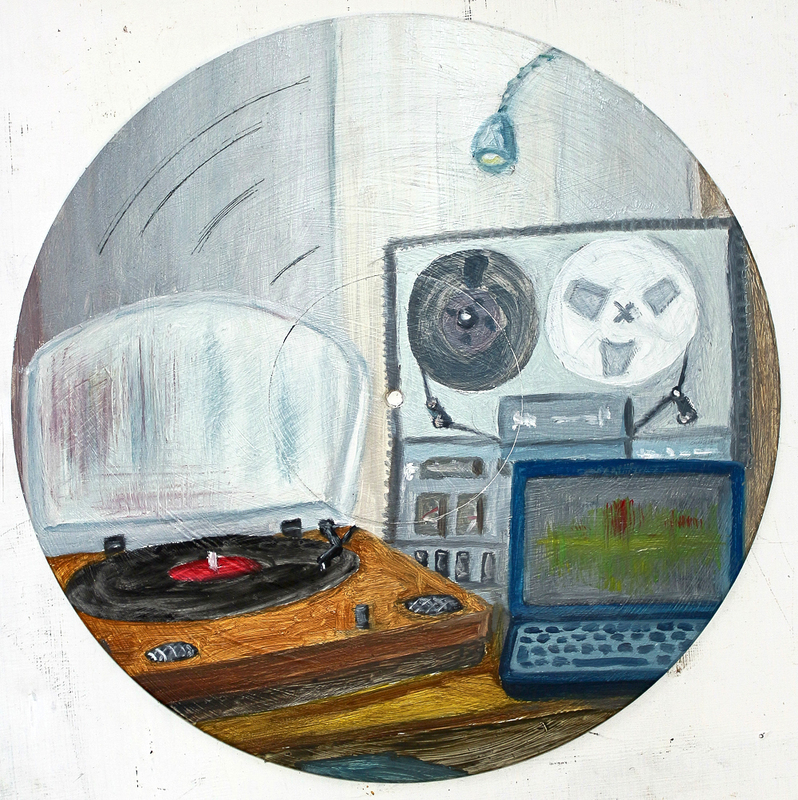 This old 21cm diameter kitchen clock had been sitting on a structure in our garden for a number of years now, and as such I suppose it could be called a ‘found object’ onto which I decided to paint this image. The clock had been in the garden for so long that green growth had begun to occupy its internals. Unfortunately the battery mechanism no longer works, so the clock hands do not move. 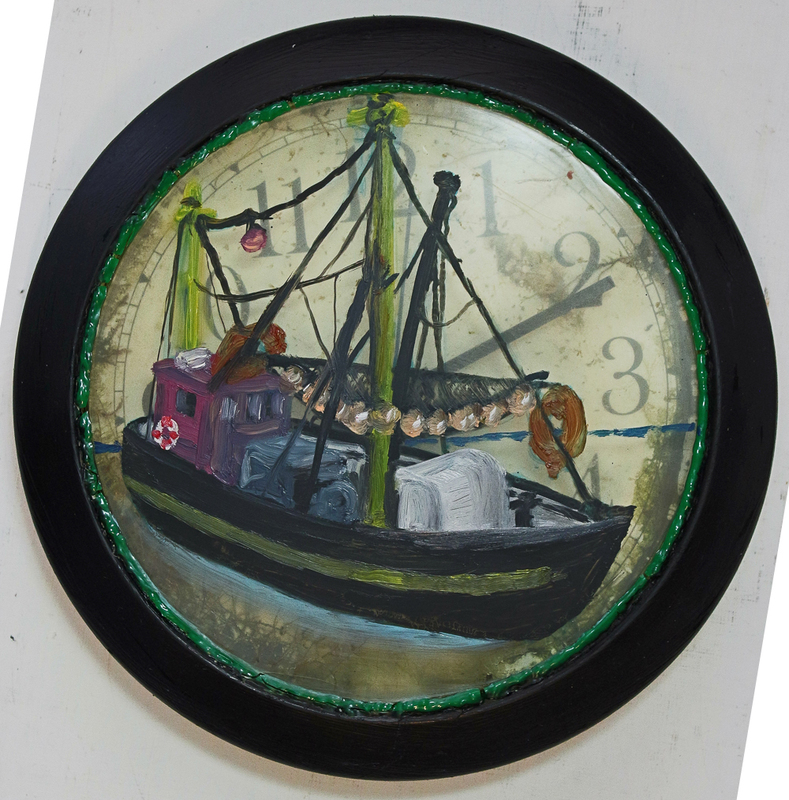 However, I still think that the painting of the model boat works well on the clock face. The model boat sits on a shelf in our living room, but this seemed to be a much more interesting way of displaying it visually. I deliberately kept the composition a bit askew to add to the possible feeling of being at sea. At my time of life decluttering seems to be a bit of an obsession and I have created a small spare room space for a record deck, an old reel-to-reel tape deck and notebook computer. All this to record/back-up my collection of music LPs and tapes to MP3 computer music files. I thought it appropriate to use an old 30cm diameter vinyl LP record as the ground for this image – you can see some of the surface showing through in the scratches I made on the painted surface and, of course, the central spindle hole remains as an identifying feature.